Last year during Chinese New Year I was travelling and kind of missed the whole celebration. New Year’s eve I was in a train from Beijing to Pingyao, on Lantern Festival I saw fireworks in Guilin (see the picture). This year I spent the most important holiday at Guangzhou with my boyfriend, my mother and my younger little brother. First two days were for shopping because we were worried that the shops would close soon, as they did. On 30th and 31st we made some good deals at Haizhu square and near the railway station. It didn’t even matter that some of the shops (all at railway station) were closed, because they were still selling rest of the stuff outside. We also took a two hour cruise on Pearl river admiring the lights and tall building. As well as spend some more money at game hall and saw some cute and not-so-cute animals at Chenglong Zoo. Following the tradition we went to two temples to wish lots of success, money and love for the year of the rabbit. Accidentally we also found a flower festival street near Chen Clan Academy and ate lunch at a very Cantonese restaurant. My little brother was brave enough to try to chicken feet! The first day of the new year my mom and little brother finally visited my home. “You really live in a place like this?” my brother asked me when he saw the village I’m living in. My boyfriend made some potatoes, beef, shrimps and pork for us to eat and rest of the time we spent playing billiard by the river. I’m a really terrible in it and it didn’t really help that all the Chinese people where staring at us. The last night I spent in the Pullman airport hotel with my mom and brother. They had a early flight the next day and it’s quite hard to find a taxi in the University Town where they were staying in the island’s only hotel. The taxi driver didn’t really understand my first when I was trying to explain we want to go to the hotel next to airport but finally asked that is it the hotel that has man in the name. Seems that Pullman is something like pu’er’man in Chinese. All in all I managed to have quite a traditional Chinese New Year even I forgot to wear my red lucky underwear. I depended on my boyfriend a lot and he did his best to explain to me what kind of decorations we could buy and what does the holiday mean to Chinese people and to him. I really enjoyed the holiday and think it will become more and more important to me in the future. One worrying thing is that now the time from December to February is not only time to celebrate but also time to spend money. Chinese workers work really hard the whole year in order to go back home for Spring Festival and give money to their family members and relatives. Sometimes it makes me feel really selfish because I’m just dreaming of buying a new camera, and not to giving all my money to my loved ones. I think I understood this week that my boyfriend doesn’t want money just for money. He wants me and his family to be happy and have a better life. He doesn’t plan to success and earn much to buy things for him. He wants to buy things for me and his relatives. Of course in order to do so he is talking about money all the time and what could be the best way to earn as much as possible as soon as possible. But I think that I understand him much better now. This Chinese New Year was a time for me to learn and experience something new. A time to have fun with my family. But of course the holiday season isn’t over yet and I’m already waiting for the Valentine’s Day and the Lantern Festival. 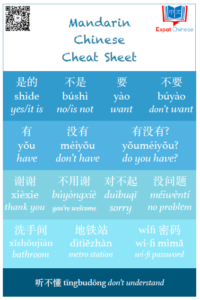 Why I Use Skritter To Learn To Write Chinese And Why You Should Too? Happy Chinese New Year Sara! Sounds like you have had a lot of thoughts behind the celebrations. After-all did you get so stuffed that you feel you stomach is going to burst? This normally happened to me after the marathon/compulsive eating over the course of new year. I am quite irritated this year for my school putting mid-term holiday one week after CNY, so I have to wait till 年初九 to get to HK. Better than nothing I guess. Was it quite a shock for your relatives visiting China? It should have been quite an experience for them especially during such festive atmosphere. Happy New Year to you too Marcus! I did eat a way too much chocolate, like during Christmas, because my mom brought me a lot. But otherwise I managed not to eat too much. Actually my mom used to live in Beijing for three years before I was born so for her it was interesting to see how China have changed in the last 20 years. My brother have traveled quite a lot, but I think this time he got closer to the local people and not just the tourist spots. They are planning to come again when I graduate in 2013 or 2014. Aw you missed out on the oily greasy food then! Hmm living in Beijing 20 years ago was interesting, as you-know-what happened in that year. (I won’t write it given that you are in China) Were they there at the time? My Dad was in China shortly after and he recalls the atmosphere as truly momentous. My mom left China in -87 just before I was born so she wasn’t there. If she would have been there it would’ve been quite a time because she was working for the embassy. Kiva kun kommentoit Nomad! Kyllapa olet eksoottiseen paikkaan itsesi loytanyt. Sopiiko tiedustella miten tiibetilaiseen kylaan paadyit? Taytyy myoskin heti tutustua blogiisi. Kuulostaa hyvalta! Mietin itsekin aikoinaan tuota Ita-Aasian tutkimusta, mutta kun paasykokeessa olisi pitanyt osata suomen kielioppia :) Lahdin sitten historiaa opiskelemaan, opinnot jai vahan kesken kun tulin Kiinaan opiskelemaan kiinaa. Luin blogistasi, etta olet avannut hostellin siella kylassasi. Voi kunpa olisi itsella mahdollisuus tulla joskus kaymaan. Niin, asutko myös jossain pienessä kylässä? Asun Guangzhoussa, mutta noin 20 kilometria keskustasta poispain. Taalla on yksi iso saari, jolla on kymmenen yliopistoa, seka kolme pienta kylaa. Asun yhdessa naista kylista, kilometrin paassa kampukseltani. Naapurustoni on siis hyvin erilainen kuin jos asuisin keskustassa. I guess Chinese celebrate CNY much the same all over the world. Here in Malaysia, we ushered in the new year with the letting off of loud fire-crackers and fire-works into the wee hours, reunion dinners, the giving of ang pows, lions dances, mahjongs sessions and visits to to friends/relatives. Glad that you had a close up first-hand experience of how the Chinese celebrate CNY. By the way, you look gorgeous! and we love you for loving Chinese men. Your bf must be very lucky. I also love Joscelyn’s blog which I have been following for some time. Joscelyn is a wonderful writer. Thanks for commenting you ordinary malaysian! Your Chinese new year really sounds like one from the mainland China. Thank you for your kind words and I’m the lucky girl to have my boyfriend. You are right, Jocelyn’s blog is amazing!